This morning after breakfast drive to Pahalgam 2440 Meters (Valley of Kashmir) On arrival check into your hotel and rest of the day is at leisure. Stay overnight at hotel. After noon you can Visit the Pahalgam also known as ‘The valley of Shepherds Paradise. Pahalgam is the most famous place for Indian Film Industry. The town of Pahalgam offers breath-taking views. One can just enjoy the town of Pahalgam trek to some of the most beautiful places on earth. Pahalgam is also the entry point for the famous Amarnath Cave, a holy site for Hindus. Overnight at Hotel in Pahalgam. This morning after breakfast you will drive to Katra, Enroot you will visit Patnitop & Drive through the greet mountains & Forest beautiful of these is the huge, undulating meadow of surrounded by thickly wooded forests of pine. On arrival check into your hotel and rest of the day is at leisure. Stay overnight at hotel in Katra. 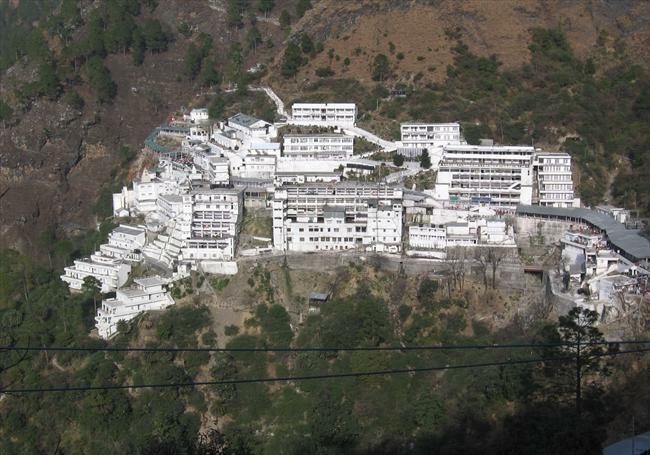 This morning after breakfast proceed by walk to the Vaishno Devi Temple to have early morning Darshan of Mata Vaishno Devi. After having Prasad proceed to Bhairo Baba Temple. Rest of the evening is at leisure. Stay overnight at hotel in Katra. Today you will be transferred to Jammu Railway Station for your onward journey. * 7 Nights accommodation in hotels & Houseboat with breakfast & Dinner on twin sharing basis.